We all know that sucrose is really bad for us. This has prompted the search for viable alternatives. In latter years, it has been proven that artificial sweeteners are not good either and so we must turn to natural ones. Luckily, we can choose from a number of natural sweeteners that match sugar in taste. Stevia is one of such sweeteners that has been gaining popularity over the years. It is completely natural, contains no calories at all and boasts some scientifically proven health benefits. It is impressive all around. 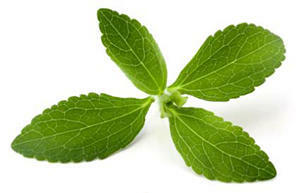 Stevia originally comes from South America and has been used as a medicinal plant for hundreds of years. It was also used as a natural sweetener. The problem is that the highly processed powders that purport to be Stevia bare little resemblance to the original natural product. Crushed or whole leaves are available for sale but you are more often going to find that you have to buy and extract or a very refined product composed of the compounds that make the plant sweet. The compounds that are most important are Rebaudioside A and Stevioside. Both are a few hundred times as sweet as sugar. 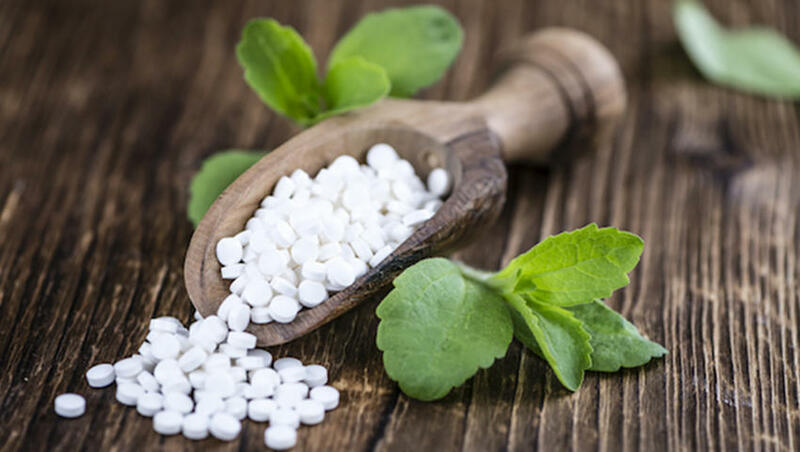 The important thing to remember though is that studies on the effects of Stevia are usually conducted using the active compound "Stevioside" in concentrated doses. Considering that Stevioside is only around 10% of the composition, attaining the same levels of concentration at home using sweetener is difficult. It is also important to note that Truvia and Stevia, are two different things, though frequently mistaken for one another. Truvia does contain a compound that is harvested from Stevia but it is blended with other compounds as well. Raised blood pressure levels are a good indicator of a number of different illnesses, including renal failure, stroke, and cardiovascular disease. 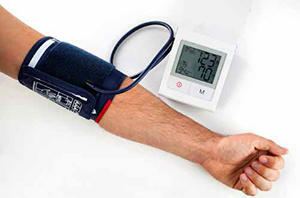 Stevioside has been found to be useful in normalizing blood pressure when used in a supplement form. One such study had 174 participants - half took Stevioside daily in doses of 500mg. The others were given a placebo. The study was conducted over a twenty-four month period and it was noted that those taking the supplement had reduced levels in terms of both Systolic and Diastolic pressure. They also had a lesser chance of developing an enlarged heart as a result of consistently high blood pressure. Other studies have come to the same conclusions. As yet, though, we are not completely sure why it works. Some scientists have postulated that it works in a manner that is like prescription medication for blood pressure by acting on the membranes of the cell. Do bear in mind that for health benefits you need quite big doses - sweetening your tea is not really going to cut it. If you are able to, try and grow your own Stevia plant and then make some tea with the leaves, then maybe you will see some benefits. Adult onset diabetes is, at the moment, one of the largest health challenges out there. The characteristically raised levels of blood sugar can be the start of the insulin resistant disease. The results in terms of treating diabetics are impressive. One study had participants "those with adult onset diabetes" take a gram of either Stevioside or maize starch with each meal. The Stevioside users showed blood sugar levels decreasing by around 18%. In a different study, sucrose, Stevia, and aspartame were stacked up against one another. Stevia was shown to have improved both insulin and blood sugar levels significantly as opposed to the others. Further studies, conducted on animals or in test tubes, proved that not only would Stevioside rev up insulin production but it would also increase cell sensitivity to the effects of insulin. As insulin is a hormone that is in charge of redistributing blood glucose to the cells, this would appear to be the driving force for its efficacy. Even people without diabetes are advised to cut down on their sugar. Stevia can help give you the sweet taste you are craving. In addition, nutritional supplements such as Forskolin can help curb hunger pains to aid in this lifestyle change. Animal studies have been conducted as well. One such study determined that Stevioside was able to reduce LDL cholesterol that had been oxidized. This bodes well for preventing cardiovascular disease. It has also proven useful in treating the following: inflammation, cancer, and issues with the immune system. That said, just remember that whilst this may hold true for rats, it may not be true in humans. A couple of reviews have been done and it has been established, according to these, that there were no ill effects suffered when taking Stevia. Some people are, however, claiming that it shares a remarkably similar structure to hormones that influence fertility. The claims stem from studies conducted on animals. 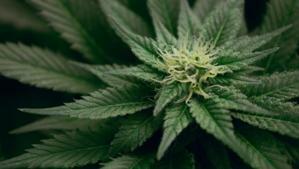 Considering the high the doses, it is unlikely to have the same impact on humans. There are a lot of options to choose from. Some taste good, others taste awful. It pays to search out the right type then. It either comes in a liquid or powder form. There are those who swear by the powder, citing that it doesn t have as much of an aftertaste. The reason may be that liquid Stevia usually has alcohol thrown in and this could affect the taste. 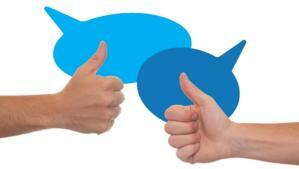 Take a look on Amazon - the customer reviews will help steer you in the right direction. You want an organic brand that is as pure as possible and that tastes good. There are lots of different ways to use it. Add it to your beverages or use as a substitute for sugar in baking. You may prefer the liquid to sweeten beverages and the powder to sweeten baking. Most people do blend it in with erythritol when using it for baking to bulk it up. If using it, just bear in mind that it is very strong - depending on the brand, one teaspoon could be the equivalent of 250 ml of sugar.